In 2011, the UCLA Terasaki Center for Japanese Studies presented an exhibition documenting the lives and stories of those affected by the Great East Japan Earthquake and tsunami. This year marks the second anniversary of this catastrophic disaster and UCLA is proud to host “Moving Forward: Life After the Great East Japan Earthquake,” a two-part colloquium presented by Dr. Kiyoshi Kurokawa, chair of the Fukushima Nuclear Accident Independent Investigation Commission, and Professor Hitoshi Abe, Terasaki Center director, chair of the UCLA Architecture and Urban Design Department, and world-renowned architect. “The world has undergone major drastic changes in the last two decades, driven by several major factors like the population explosion and connectivity among societies,” said Kurokawa. “Such changes seem further accelerated in recent years, and it seems that our future has become more uncertain and unpredictable. “The Fukushima nuclear accident awakened us and led to the creation of an Independent Investigation Commission by the National Diet of Japan. Our commission’s report revealed some of the fundamental issues with Japan’s nuclear policy. “Meanwhile, engagement by multiple stakeholders has become critical in various areas of society and in policy-making domains within and across national boundaries. This has contributed in significant ways to influencing the processes of addressing and impacting global agendas, such as climate change, food and water distribution, energy policies, urbanization, biodiversity, and human capital with a shifting balance of economy and power. As a native of Sendai, Abe has a deep affinity for his hometown and has been greatly affected by the disaster both personally and professionally. Since the early 1990s, Abe has won numerous architectural awards and his designs can be seen throughout Japan. Some of his key projects include the Aoba-tei restaurant, the Sasaki Office Factory for Prosthetics, F-town in Sendai, the Miyagi Stadium in Rifu, SSM/Kanno Museum in Shiogama, the 9-tsubo House “Tall” in Kanagawa, and the Reihoku Community Hall in Kumamoto. 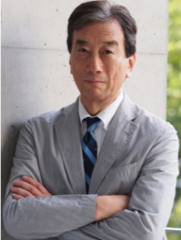 As the Terasaki Center director, Abe successfully launched a traveling exhibition and accompanying symposium in 2012 to commemorate the disaster and has since participated in numerous discussions and lectures on the topic of reconstruction. 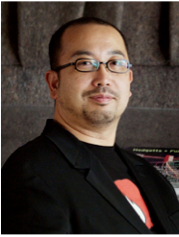 Furthermore, in 2011 he founded and established Archi-Aid together with other Japanese architects. This unique network of over 280 architects supports the reconstruction efforts following the Tohoku earthquake, including the revival of the region and the rebirth of its architectural culture and education. Abe will discuss what is needed for this type of aid to work effectively as well as the progress made over the past two years. Supported by the Japan Foundation Los Angeles.